For the second straight week I started the game as a nervous wreck and by the time it was over I had to question myself as to what I was so nervous about in the first place. 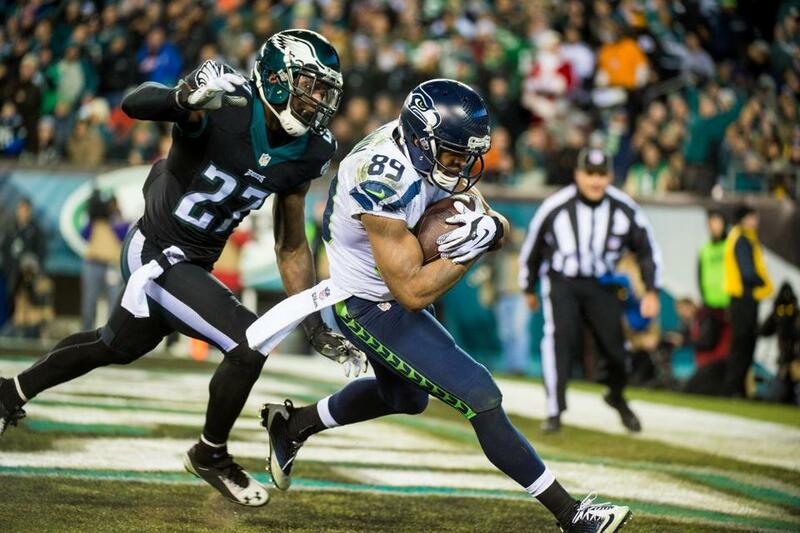 The Seahawks added yet another defensive gem to their resume as Seattle went all the way across the country to Philadelphia and physically dominated the Eagles en route to a convincing 24-14 victory. The Seahawks and Eagles both now sit at 9-4. With the win Seattle has a firm grip on an NFC wild-card playoff berth while still sitting one game behind the Arizona Cardinals for the division lead. For Philadelphia, Sunday’s loss ties them atop the NFC East with the Dallas Cowboys but they remain the division leaders based on their tiebreaker over the Cowboys. This was the toughest game left on Seattle’s schedule and with this win I believe the path has been cleared for the Seahawks to make some noise in the playoff standings for the rest of the regular season. For now here is what I took out of this week’s game. Wilson’s Indecisiveness Costs Seahawks Points: Seahawks quarterback Russell Wilson played a very good game overall, throwing for 263 yards and 2 touchdowns as well as running for 48 yards and a touchdown. It seemed as if he got more comfortable with his timing and his throws as the game wore on. I did see Wilson make two mistakes in the first quarter, both possibly taking points off the board. The first came on the first drive of the game. With the Seahawks facing a 3rd and 5 at the Eagles 30-yard line Wilson scrambled to the right and instead of throwing the ball away he tried to find an open receiver and ran out of room, stepping out of bounds for a loss of 4 yards. With the wind swirling throughout the game, those 4 yards made the difference between the Seahawks attempting a field goal and punting. 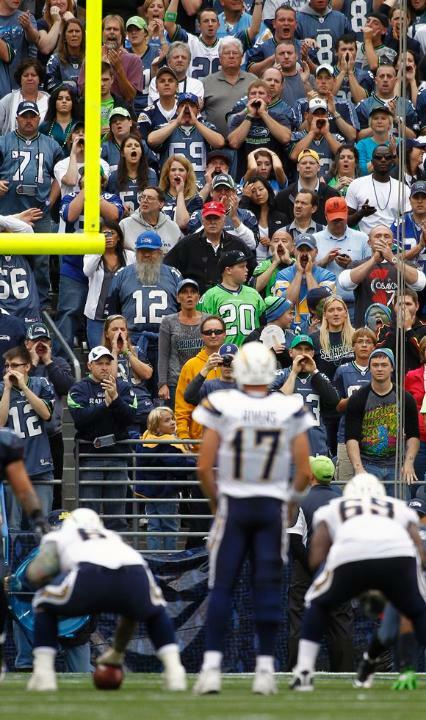 Instead of taking a 3-0 lead, the Seahawks punted. The second mistake occurred with just under 4 minutes left in the first half; virtually the same situation. With the Seahawks in field goal range on third down, Wilson was pressured and threw the ball away and did not get the pass back to the line of scrimmage. 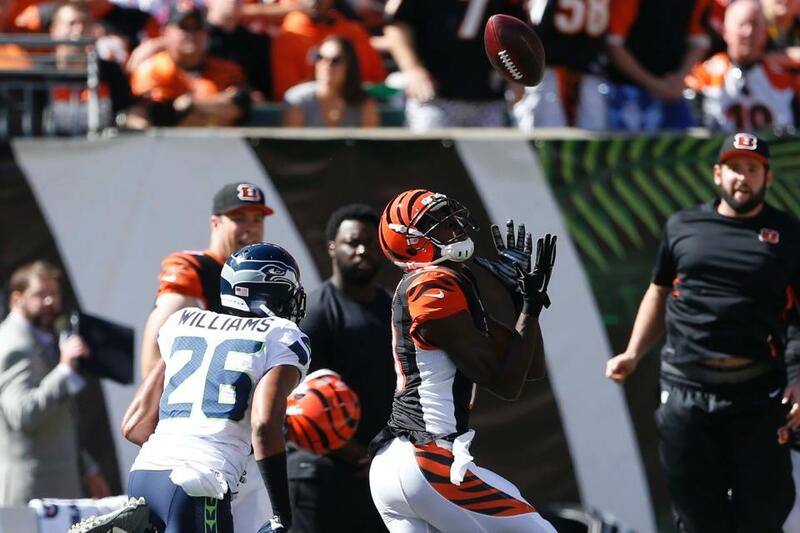 Intentional grounding was called on Wilson and the Seahawks were forced to punt once again after the 15-yard penalty. A field goal in that situation would have made it a 10-7 game and I believe those two opportunities could have given the Seahawks at least 16 points going into halftime. 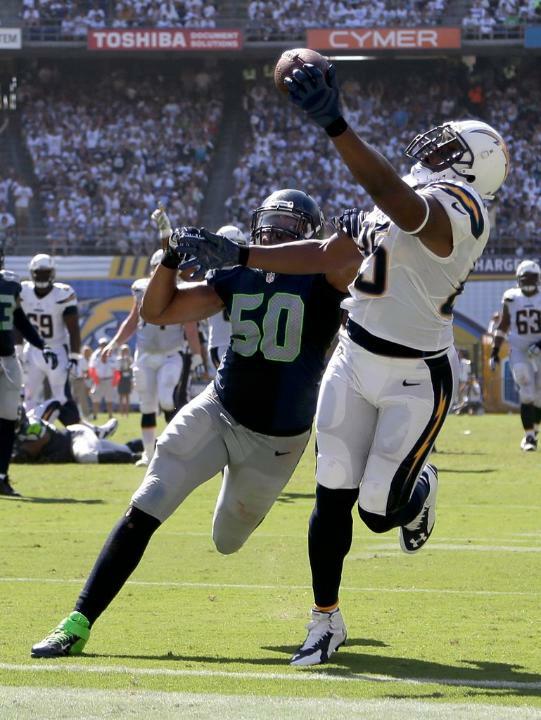 Offensive Line Thoughts: The Seahawks surrendered only two sacks of Russell Wilson on Sunday. Just like how the entire offense played better as the game progressed, the same could be said for the Seahawks offensive line, specifically the right side of the line anchored by tackle Justin Britt. Britt had trouble blocking the wide array of weapons Philadelphia threw at him. It seemed like Britt had no answer for Connor Barwin, Fletcher Cox, and Bennie Logan for the entire first half. As the first half was coming to a close, I noticed that right guard J.R. Sweezy started to help Britt out and the Seahawks stuck to that strategy in the second half, resulting in significant improvement in the passing game. Lemuel Jeanpierre played a good game at center in place of Max Unger, proving that he can be a serviceable player until Unger returns from injury. If Unger can play next week this healing and improving offense will only continue to grow and put more points on the board. Boom > Speed: The number one question coming into this game was how the Seahawks defense would handle the speed of the Philadelphia offense. Coming into this game the Eagles were averaging 412 yards of offense per game. On Sunday, the Seahawks and the Legion of Boom completely shut down Mark Sanchez and company, holding the Eagles to 139 yards. In my game preview I wrote about how to this point Sanchez has not been required to do a whole lot for the Eagles to win games. Today his weaknesses were exploited. The Seahawks were able to hold Eagles running back LeSean McCoy to 50 yards rushing on 17 carries, forcing Sanchez to throw for Philadelphia to move the ball. Sanchez finished the day 10/20 for 96 yards, 2 touchdowns, and one interception. Both touchdowns however came with the Eagles working with a short field (14 yard and 54 yard drives respectively). 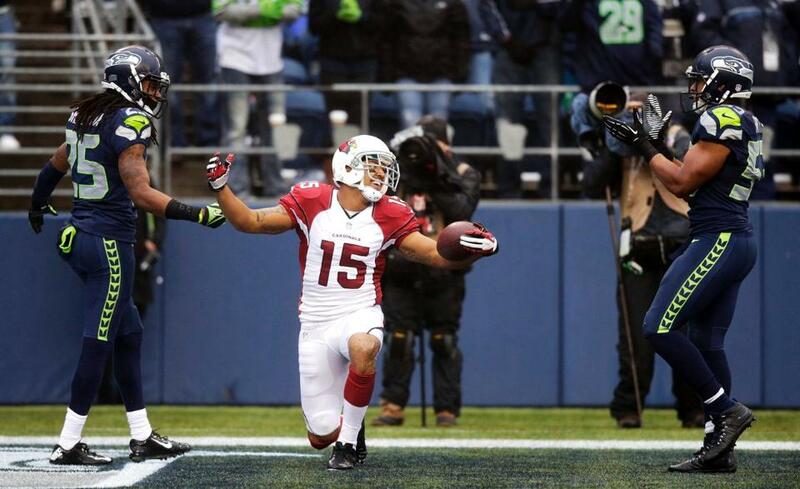 In our last three games the Seahawks have averaged less than 7 points per game. With the reeling 49ers coming to Seattle next week, this defense could be primed for another dominating performance. Time of Possession: With all the talk about Philadelphia’s lightning-fast pace on offense it is amazing to me that the Seahawks possessed the ball for 41 minutes and 56 seconds of the game (69%). That number sets a Seahawks franchise record for time of possession. Everything related to time of possession fell into place and you could see it on the field. The Seahawks gained 28 first downs, were able to run the ball to keep the clock running, and perhaps most importantly our defense was able to stay rested throughout the game. As far as clock management goes this was as perfect of a game I have ever seen the Seahawks play and it could not have come against a better opponent. Procedure Penalties Still a Problem: Although total penalties improved from last week to this week (8 penalties for 67 yards), the Seahawks still need to clean up easily avoidable pre-snap fouls. Half of Seattle’s penalties this week were procedure calls which included two false starts and two delay of game penalties. These fouls are continuing to give me a headache. These situations are fundamental in practice and there is no excuse for giving the opponent easy yards like we did again on Sunday. Thoughts on Philadelphia: The Philadelphia Eagles are a good team but without Nick Foles this team could be headed towards another early round playoff exit. I believe they have the talent on defense to push this team to a division title. Even though they played the #1 defense this week this offense is not broken. I do question Mark Sanchez’s ability to lead this team deep into January. I believe the Eagles are good enough to win a wild-card playoff game at home but with Sanchez at the helm, if the Eagles have to travel in the playoffs, particularly to Seattle, they will have a very difficult time winning. 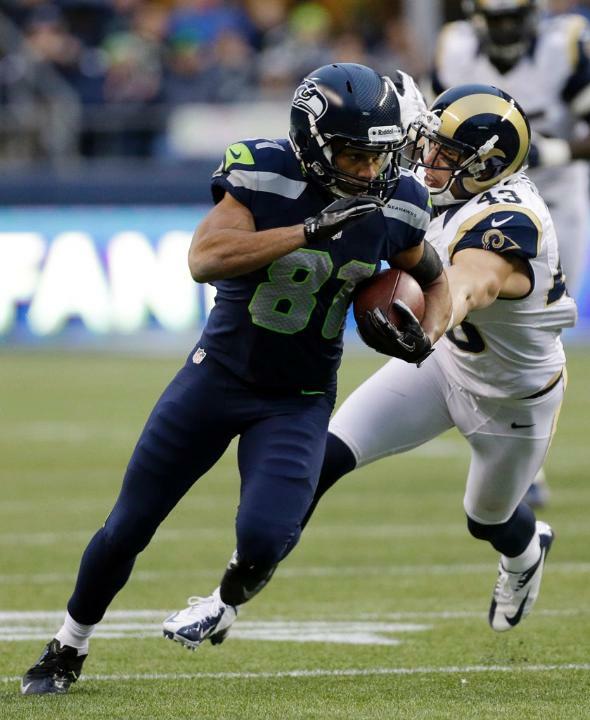 Random Thoughts: The Seahawks went white/blue this week. This was the first time since beating the Redskins in week 5 that the Seahawks won in white jerseys… I am going to talk way more about the Eagles uniforms than I probably should. In my game preview I said the Eagles would wear their midnight green jerseys with white pants. I was wrong. They decided to go with their black alternate jerseys and black pants. I found this surprising considering the Eagles were forced to wear black for the first half of the season after a snafu with Nike in regards to having their green jerseys ready for the first part of the season. Considering that black is the Eagles “alternate” jersey, I would have thought that they could not wear that jersey anymore this season. Oh well… Ricardo Lockette what was that flop all about??!! Terrible… On Saturday night punter Jon Ryan spent his evening playing Nintendo 64 Mario Kart with kicker Steven Hauschka and long snapper Clint Gresham. Perhaps Ryan should spend a little more time practicing catching the ball. Two straight weeks now Ryan has fumbled a punt but this week he could not get off the kick and the Eagles took advantage of the short field we gave them. The Seahawks defense saved Ryan from being the goat of the game in my opinion… Richard Sherman almost had his 4th interception of the season early on in the game. I continue to be amazed that Sherman is rarely penalized with the style of play he sports… I’ve said it before and I’ll say it again here. I believe we will win out and go 12-4. We need to take it one game and one week at a time but I believe we can run the table. Thanks for reading everyone! Check back on Saturday as I preview our week 15 game against the San Francisco 49ers. Go Seahawks!